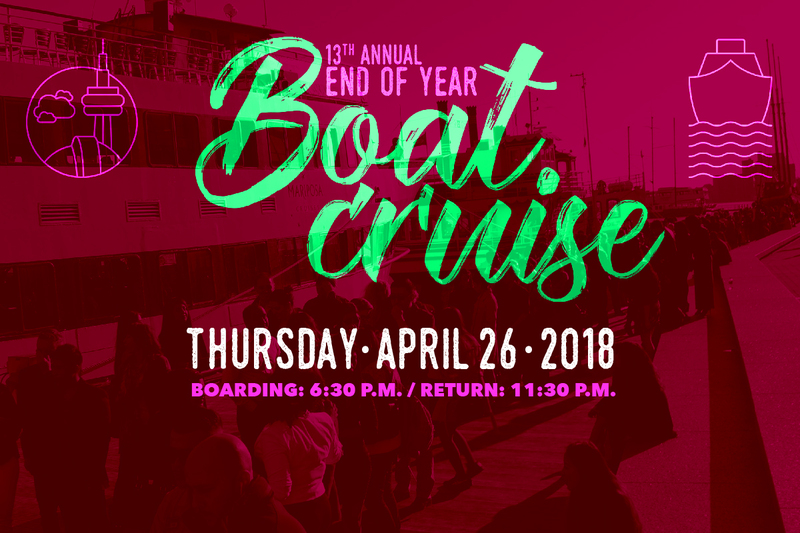 Boarding: 6:30 p.m. Return: 11:30 p.m.
Price includes: Cruise, meal, shuttles and prizes. Tickets available online at campusvibe.ca/sagbc starting Monday, April 2 at noon. This is a 19+ event. Dress code: Semi-formal. Shuttle buses leaving from St. James campus only at 6 p.m.